Raise your hand if you've struggled through the impossible task of untangling necklaces. 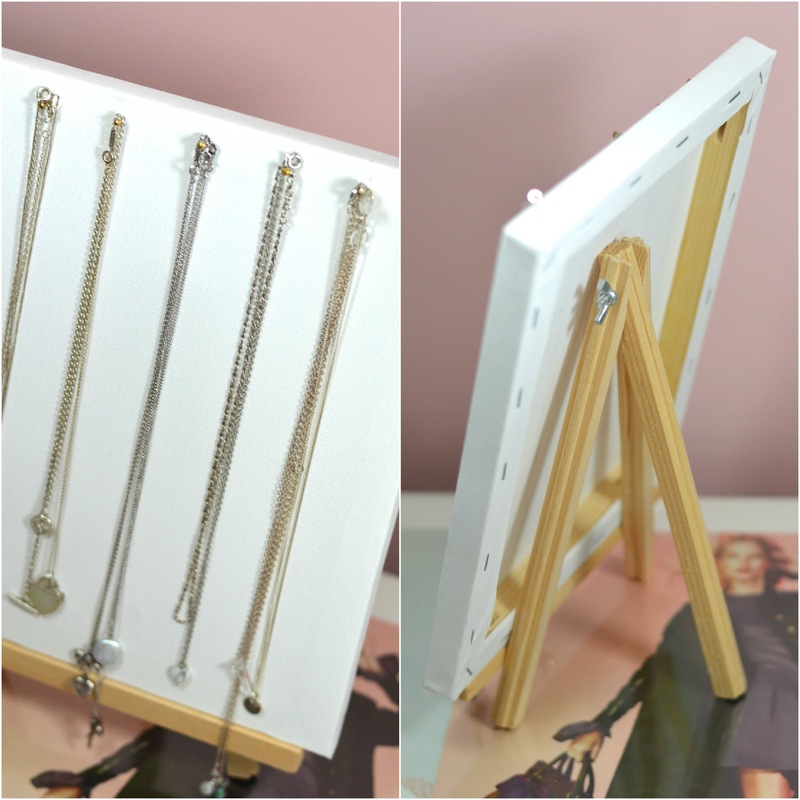 This easy DIY is the perfect way to prevent your necklaces from tangling up, and it makes for a pretty decor piece as well. All of the required items for this project can be found at Dollarama, and it only takes a few minutes to throw together. I'd recommend measuring out your nail holes beforehand, to ensure that you get them centred and aligned. 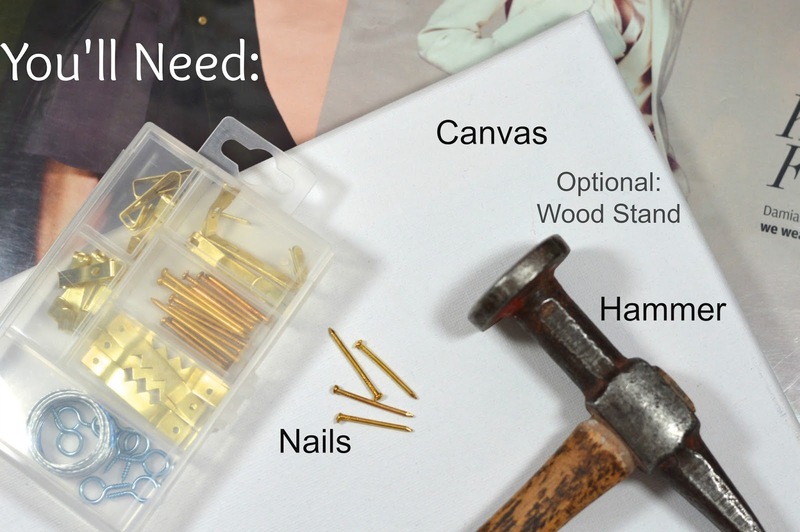 These canvasses have a wooden frame, which makes hammering the nails a breeze. The cute stand actually came in a pack with a smaller canvas, but it can be used for displaying a board of any size. 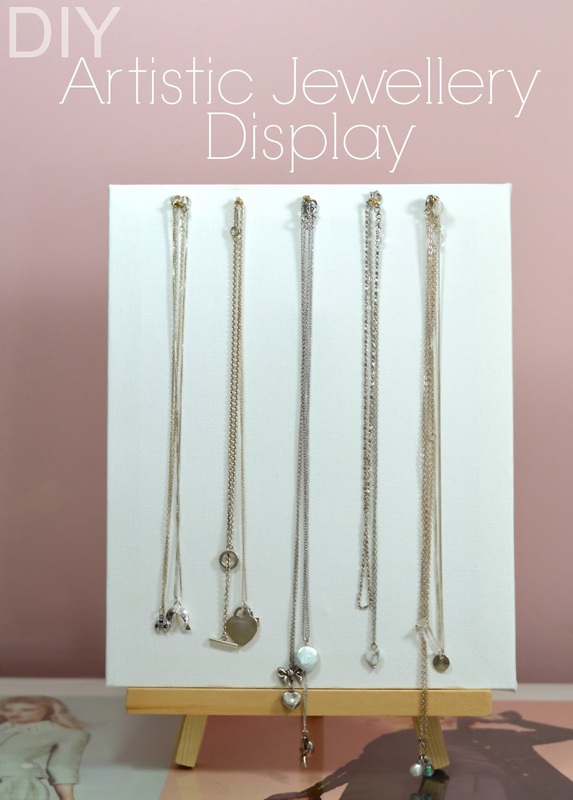 I love the idea of hanging necklaces up on a wall, so this is an easy way to achieve that look without making tons of holes. if you have a bit of spare time this weekend, swing by your local dollar store and try out this fun and easy DIY.